Art In Need - What can I help restore? 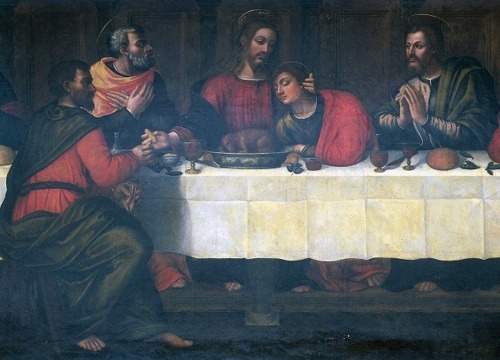 'The First Last' is a multi-tiered project to save Plautilla Nelli's Last Supper (1560s). This painting has taken the world by storm! Art lovers the world over continue to contribute to its restoration in various ways. Nelli's work is at the center of a crowd-funding project! (During phase 1, AWA successfully raised nearly 67,000 dollars). Phrase II is currently underway and includes various opportunities for giving, including our sweeping 'Adopt an Apostle Program'. By authoring and signing this enormous fresco-style work depicting Florence’s best-loved spiritual theme, Nelli successfully placed herself among the ranks of her male counterparts, such as Leonardo Da Vinci, Andrea del Sarto and Domenico Ghirlandaio—all of whom painted Last Suppers to prove their prowess as art professionals. She was a pioneering artist who truly made history. There's still a chance to play your own part in Nelli's revolutionary story. What is the ‘Adopt an Apostle’ program? We still need your support as the second and final stage to restore Plautilla Nelli's Last Supper continues!